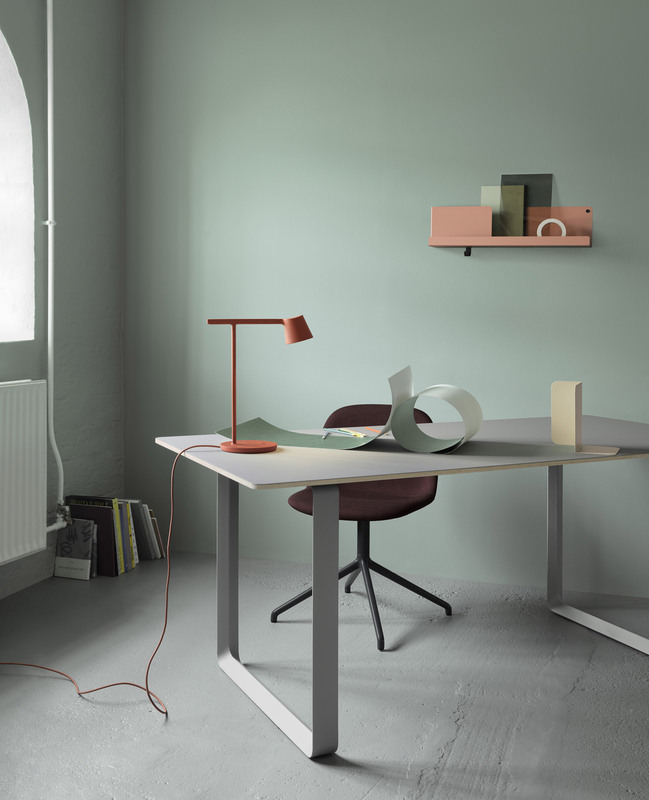 Swedish designer Jens Fager has created a lamp for Danish brand Muuto, which features a simple, minimal frame made from moulded aluminium. 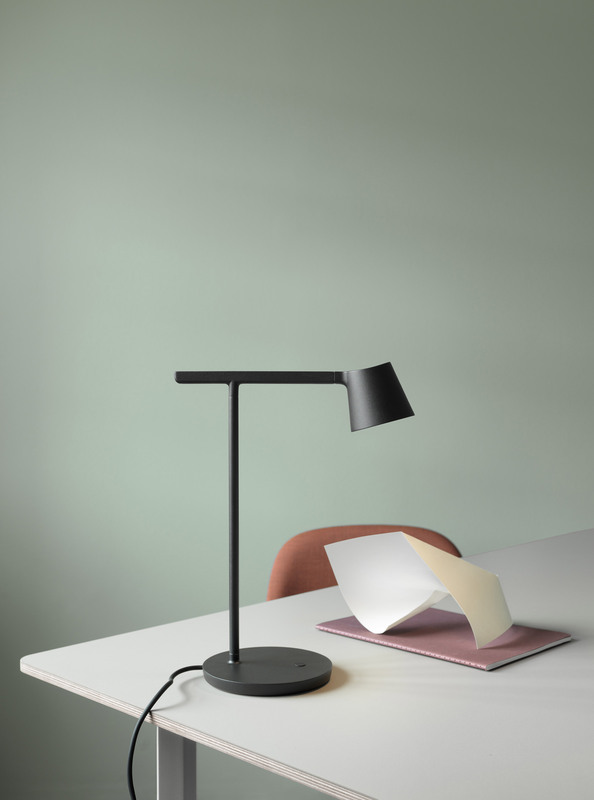 Aiming to put an emphasis on simple, functional design, Fager's Tip lamp is made from powder-coated aluminium, and features a right-angled stand and a rounded head. Its name comes from the way that the head of the lampshade subtly "tips" backwards, to allow for a better distribution of light. The lampshade section also features laser-cut grooves, which he says are designed to accentuate its "geometric shape". Both the head and arm are adjustable so that light can be angled, while a dimmer function enables users to determine how brightly it shines. "During the design process, I focused on polishing every single detail while emphasising the functional aspect of the lamp," said Fager. "I wanted to reduce the design to the very essence of its purpose." He chose moulded aluminium in order to give the lamp a "clean and precise look" that contributes to its subtle aesthetic. The aluminium was then powder-coated in a range of four colours – black, white, olive and copper brown. Fager previously worked with Muuto to create a pendant lampshade from a composite material that blends bamboo with polypropylen. Other projects by the Stockholm-based designer include a chair for Swedish office furniture manufacturer Edsbyn, and office partitions made from recycled plastic bottles. Muuto often partners with leading contemporary designers to create new products. 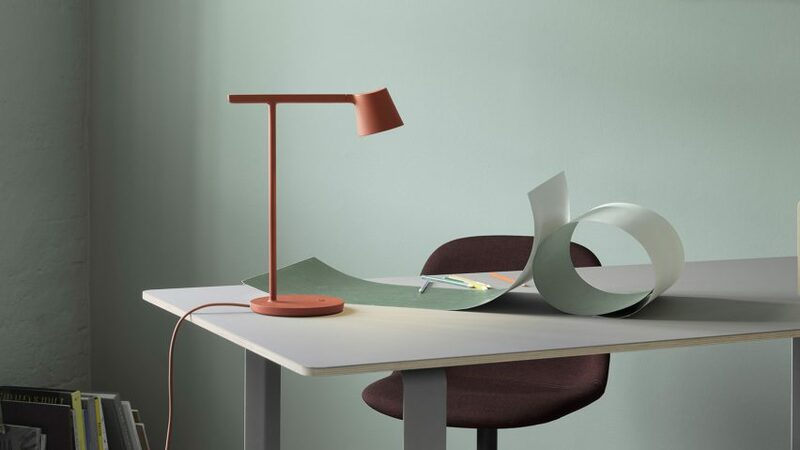 Other products in the Danish company's range include lightweight spun aluminium pendants designed by TAF Architects and a plastic shell chair with an injection-moulded wood-fibre composite that is 100 per cent recyclable.